We are a food service company with a family spirit. In 1988, Mission got its start as a small ice machine and refrigeration sales and leasing company. Today, we are proud to be one of the nation's largest dealers of food service equipment and supplies. Our growth is powered by a talented team of equipment and supply specialists, designers, craftsmen, and passionate professionals who love what we do. Together, we're focused on building lasting relationships with our customers while offering a full menu of in-house services you won't find anywhere else. Lewis Family Purchases Mission Party Ice & Forms Mission Ice Equipment Co. To Sell & Lease Ice Machines in South Texas. Southwest Texas Equipment Distributors (STED, Inc.) Is Formed After Becoming a Wholesale Distributor of Ice Machine and Commercial Refrigeration in San Antonio. Lewis Family Buys Ice Distributor in Houston, Opens 2nd Office for STED, Inc.
Mission Party Ice Sold To Packaged Ice. Lewis Family Buys Warehouse and Office Space in San Antonio for Mission Ice Equipment Co.
Mission Ice Equipment Co. Opens an Additional Office in Corpus, Christi, Texas. The Company Expands Into Restaurant Supply Business, Changes Name To Mission Restaurant Supply & Opens Small Showroom in a Former Hardware Store in San Antonio, Texas. Mission Launches Full E-Commerce Website, www.MissionRS.com. Showroom Opened in Austin, Texas. Mission Purchases a Custom Metal Fabrication Shop, Renaming it Mission Metal Fabricators. Begins Offering In-House Custom Fabrication & Installation Services to Customers Across Texas. Headquarters Relocated to 1126 S. St. Mary's near King William Neighborhood of San Antonio. The Mission Restaurant Supply Culinary Scholarship Is Established, providing financial aid to collegiate culinary arts students. Mission Purchases ~150,000 Sq. Ft. Distribution Center in San Antonio. Mission Joins the CPG Buying Group as a founding member. Mission Expands to the Rio Grande Valley, Opening a Showroom at 3422 N. 10th Street. in McAllen, Texas. FE&S Magazine Names Mission “Dealer of the Year” at National Restaurant Association Show. Mission Acquires MRE, Opens Showroom in Fort Worth, Texas. Mission Expands to Dallas, Texas, Opening Showroom at 13970 N. Stemmons Freeway. Jack Lewis, Mission's CEO, Chairs the Leukemia & Lymphoma Society's “Light the Night” Walk in San Antonio. Together, he and Mission Restaurant Supply raise over $251,000 for LLS, breaking a local record as the highest fundraising corporate team in the event's history. Company-Wide Rebranding Campaign Introduces Modernized Logo and New Messaging. Mission Celebrates Its 30th Anniversary In The Industry. In today's market, people are increasingly curious about what they buy. When it comes to food, questions like "Where did it come from?" and "How was it grown?" have become commonplace. Similarly, our Mission sales team believes in the importance of education when working with you on your food service project. Be it a new or existing operation, our specialists, many of whom are past chefs and industry veterans, will work closely with you as strategic partners to find the best solutions for your every need. Visit one of our six store locations today or call us to get started! Visit one of our six locations today or call us to get started! In doing business with Mission, you will learn that delivering great service is our top priority. 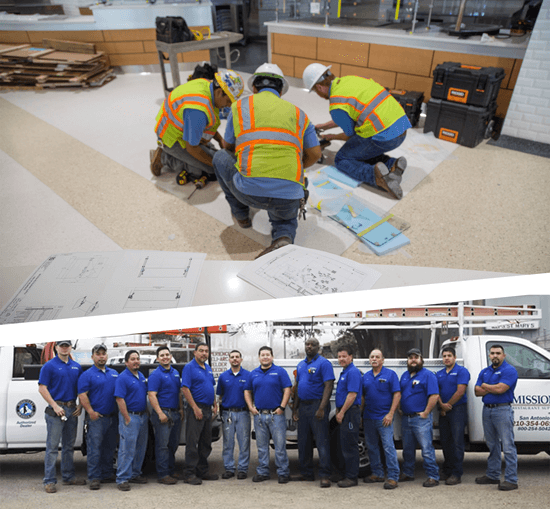 Whether you're leasing a piece of equipment or needing routine maintenance on a unit, our licensed and bonded team of service technicians, installers, superintendents, and field project managers will work hard to ensure your satisfaction every step of the way. By having our own service teams in-house, we’re able to provide you with a quality, service-driven experience from start to finish. Efficient kitchens begin with smart design and we believe the best kitchens have a creative vision long before the first fire’s lit. When you partner with Mission, you have the opportunity to work with our team of in-house consultants, CAD operators, and experienced concept designers to bring your ultimate food service visions to life. Call today to set up a consultation and get started on your dream project. 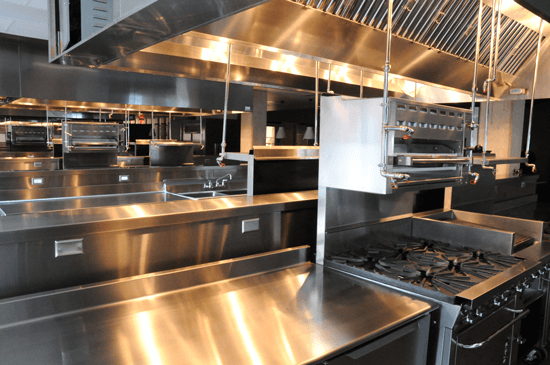 Building a commercial kitchen often means working with a custom metal fabricator – and we have your covered. 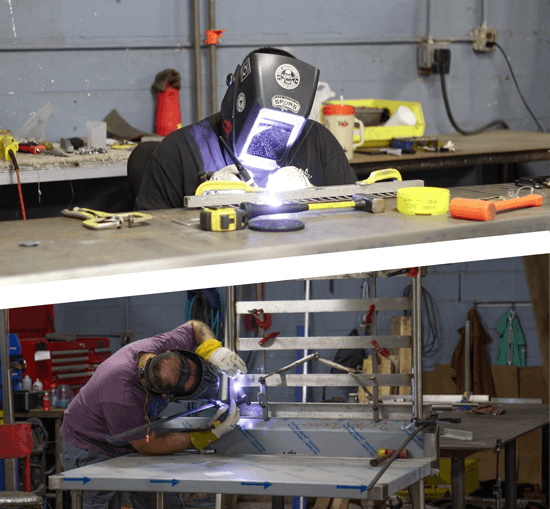 By owning our own metal fabrication shop, we can offer you the best value and quality control on custom stainless-steel designs, manufacturing, and installations. 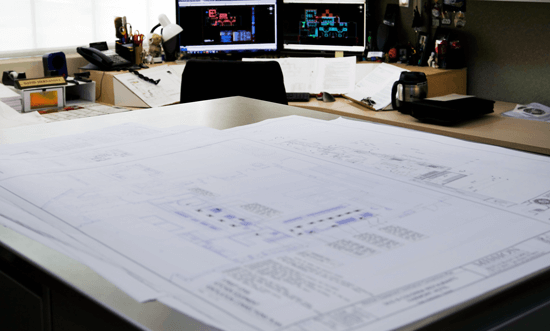 Mission Metal Fabricators, which offers estimating, purchasing, and drafting departments, is located minutes from our corporate headquarters in San Antonio, Texas. Our team of 40 artisans brings a craftsman's approach to their work, utilizing in-house equipment such as press brakes, notching machines, stud welders, sheet rollers, drill presses, and a CNC-controlled unit capable of cutting delicate glass and even titanium steel. From independent restaurant chains to ISDs, hospitals, and hotels, we're able to work with food service operators on projects of every scale. Find out how we can help you today. We believe the heart of hospitality and soul of culinary passion radiate from the kitchen. Whether it is a hotel or hospital, C-Store, supermarket or school, bakery or bar, casual or fine dining restaurant, our job is to outfit you with the tools and services necessary for a prosperous future in food service. 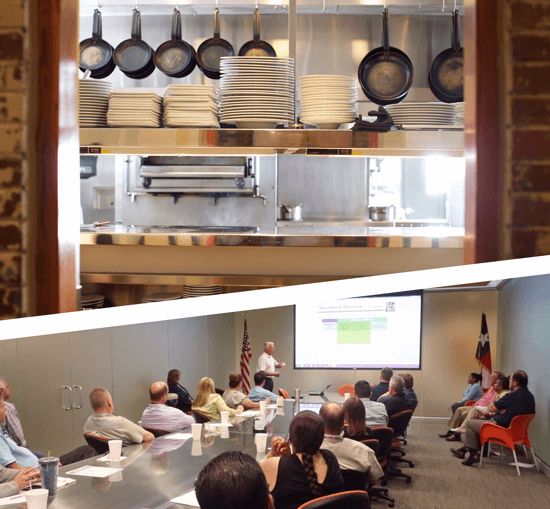 Mission is the largest Texas-based food service equipment and supply dealer, with six locations across the state and over 300 employees serving the brand statewide. Over our 30-year history, the family-owned-and-operated company maintains a reputation for building strong, lasting relationships and offers an unparalleled menu of in-house services. We have full stocking showrooms that are open to the public, authorized service departments, centralized distribution, leasing divisions, design departments, a custom metal fabrication shop, an e-commerce store, and more right at your fingertips. It takes a lot of guts to follow your dreams. Every day, we meet people who are taking the plunge in the culinary industry. Being fearless means taking that first step. The next step is partnering with a food service dealer that will help guide you to greatness. With 30 years in the industry, our team understands the common challenges while bringing a level of expertise and enthusiasm to every food service project. Get started today – one of our team members will be in touch soon. At Mission Restaurant Supply we take pride in our Texas roots. Here, the statewide foods and flavors tell stories of our identity and heritage. It is an honor to work in an industry that revolves around food, and specifically, the places where meals are made and served. Over the past 30 years, we have worked with restaurateurs, chefs, and operators on food service venues of every imaginable kind. 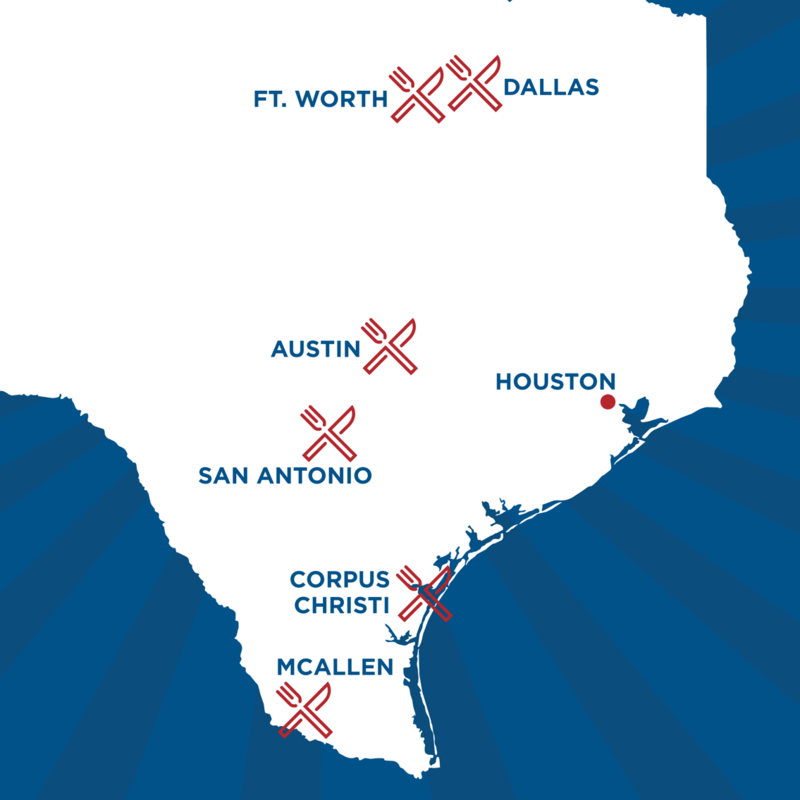 With 6 locations across the state, our team stretches far and wide, satiating a Texas-sized appetite to help dreamers like you succeed. Mission is definitely one of those companies that we feel we can count on for the long term. I think the single most important piece of equipment we use that's very essential to the operation of Fred's is the Vollrath French fry cutter. I mean, everything back there comes from y'all and I'm not entertaining plans of ever changing. Our relationship with Mission I think is extremely special. I walk in and everyone knows my name. We're putting out thousands and thousands of dinners, things going out every day, so when I buy a product from Mission I know they've done their work of making sure I'm going to buy the best that I can for what I need. Everything I got was from Mission and I love every last piece of equipment. OR I'll never leave Mission. The little things go a long way it's why I keep coming back. I want our guests to be treated the same way that Mission treats me as a customer. Silo, like Mission, has been able to be consistent and provide great service through the years. Giving back is a cornerstone of the Mission culture. Since our earliest days, we've embodied a philanthropic, civic-minded spirit while giving back to those in need and to organizations that are making a difference. Whether it’s a ProStart competition for culinary students or a company-wide pledge to United Way, we believe every effort matters. Today, we’re proud to be able to be able to donate over 15% of our after-tax profit to charities across Texas. Teamwork is everything when running a great business. We call our team "The Mission Family," a group made up of over 300 genuine, resourceful, and driven individuals working hard to enhance the culinary communities across Texas. Our Family is our greatest asset and the key to our longevity in the market. We’re made up of cooks and craftsmen, metal grinders and graphic designers, foodies and philanthropists, musicians and marathon runners, writers and restaurateurs, to name a few. (You could say we wear many hats!) Together, our diversity of stories, backgrounds, and unique talents make us a dynamic food service family. Learn more about our current openings at the link. In 2012 Mission was named “Dealer of the Year” by FE&S Magazine. There are 300+ employees serving the Mission brand statewide. Over 15% of our after-tax profit is donated to charities across Texas. Mission Celebrates 30 years of business in 2018.